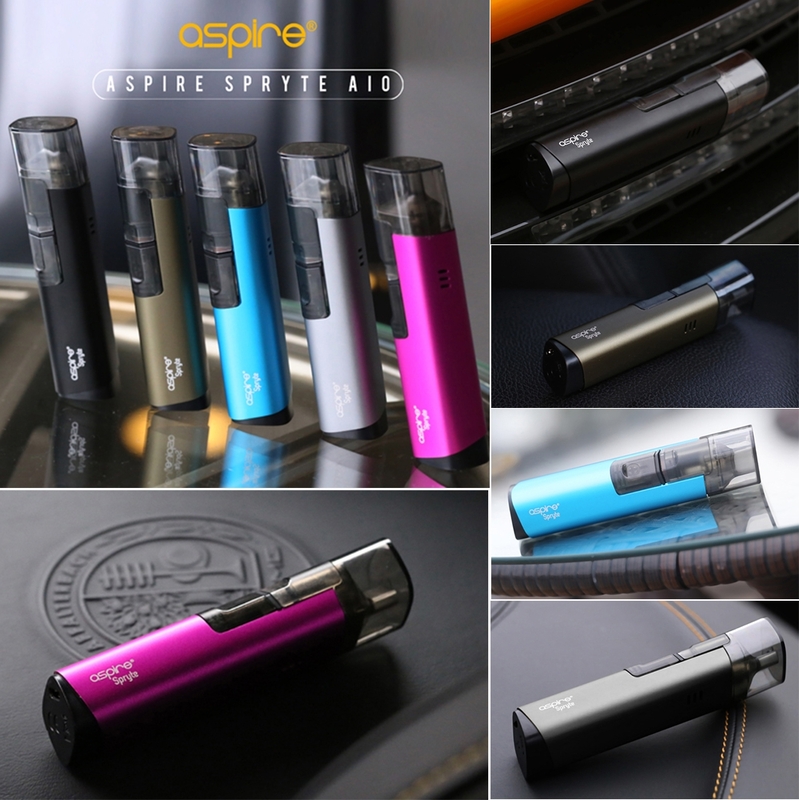 Aspire Spryte AIO Pod Kit is an all new design pod system starter kit that consists of 650mAh built-in battery and 3.5ml refillable pod. It is stylish and compact, very comfortable in palms. 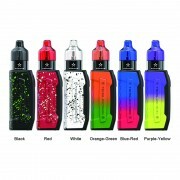 Featuring an adjustable airflow system, the pod kit meets your vaping preference. 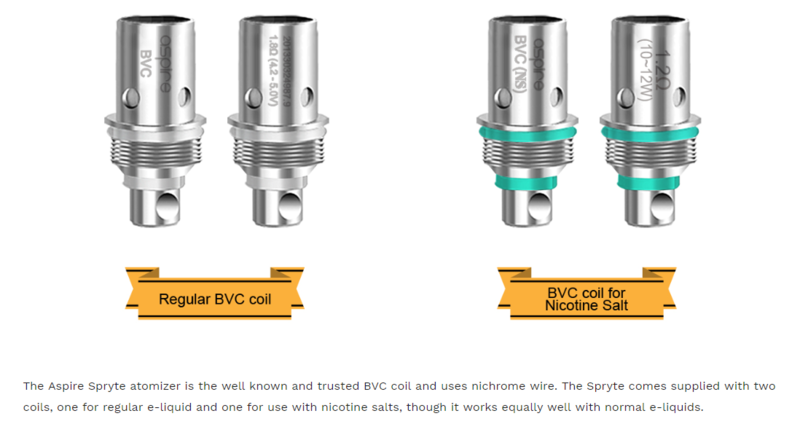 The Spryte AIO Kit comes with two type of coils: 1.8ohm BVC coil for regular juice and 1.2ohm BVC coil for nicotine salt, bringing you different vaping experience. 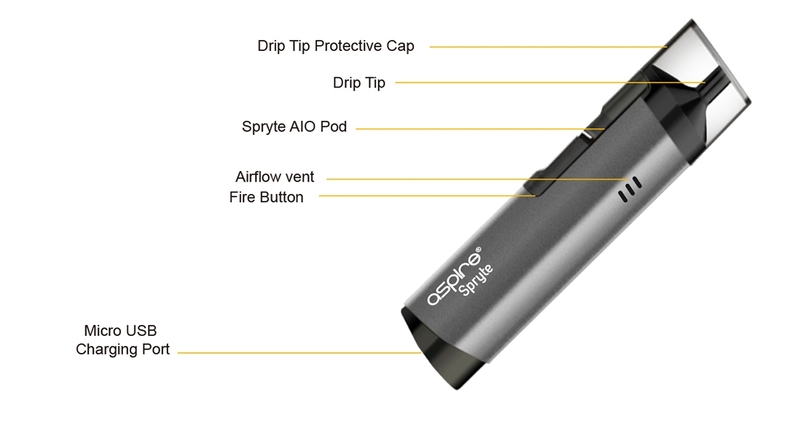 The Aspire Spryte features an adjustable airflow system, meeting your vaping preference. 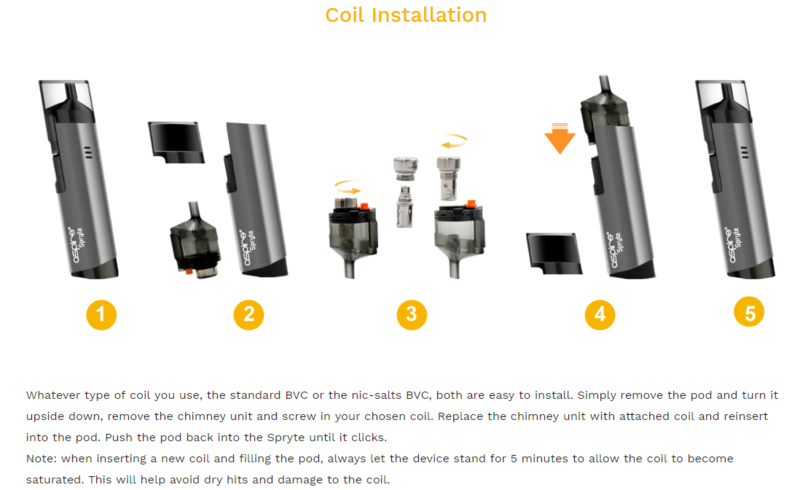 The Aspire Spryte AIO Pod Kit includes two type of coils: 1.8ohm regular BVC coil and 1.2ohm BVC coil for nicotine salt. 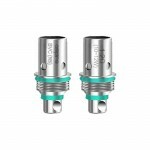 Coming with 3.5ml e-liquid capacity and bottom refill system, it is easy to refill the Spryte. 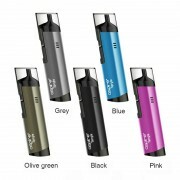 You can charge the 650mAh Spryte Mod through the Micro USB port and its maximum charging current can reach up to 1000mA. 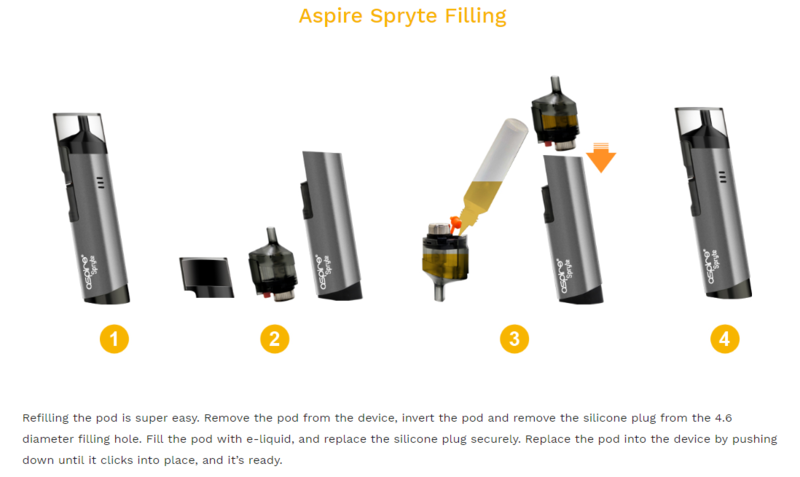 ❤ Please read the user manual carefully before using Aspire Spryte Device. ❤ Simply charge Spryte Mod by connecting it with a computer, a power bank, a wall adapter or other electronic devices (with a USB port that is capable of providing a charge) via USB cable, also you can purchase an inexpensive USB car adapter, thereby affording you the ability to charge the Spryte Mod in the car. This is particularly useful while you are on long drives and road trips. 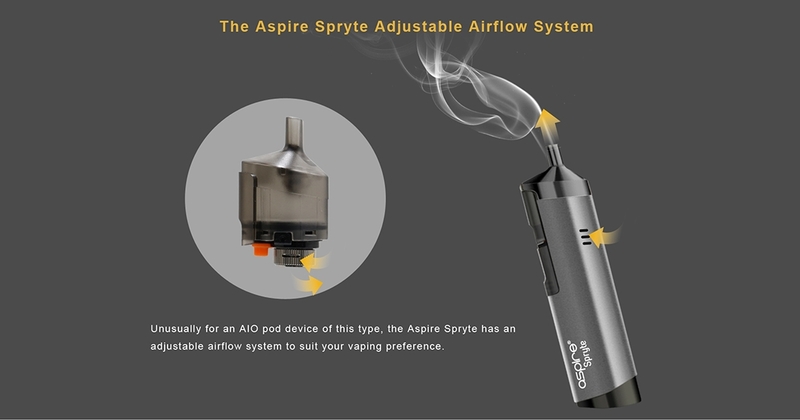 ☞ 6 months warranty period for Aspire Spryte Device.